Mormonism | J.W. Wartick -"Always Have a Reason"
Central to discussions about God is the very concept of God itself. What does one mean when they refer to “God”? Suppose one is debating about the existence of God and in the course of that debate, one finds out that the other, when using the term “God” is thinking of a contingent, powerful but limited, and embodied deity; yet the other person has been trying to argue for the God of classical theism–infinite in power, wisdom, love, etc., omnibenevolent, omniscient, and omnipotent, transcendent, and the like. Clearly, there is a difference over who “God” is. Now talk about God can be meaningful between these two because they can choose to use “God” as a title, similar to that of “King” (this is suggested by Paul Moser in The Evidence for God, 22ff). It is important to note that there is no single “Mormon concept of God.” As with Christianity, there is an array of beliefs about specific attributes of God. 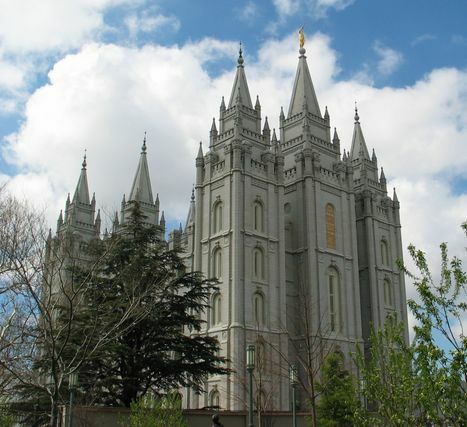 Thus, for this post, I’ll focus on just two concepts of deity within Mormonism. Stephen Parrish and Carl Mosser take Mormon teaching to expound the concept of God known as Monarchotheism, “the theory that there is more than one God, but one God is clearly preeminent among the gods; in effect, he is the monarch or ruler of all the gods” (Parrish and Mosser, 195, cited below). This concept of God is embodied (see Teachings of the Prophet Joseph Smith cited in P+M, 201). Furthermore, this God is contingent, the organizer of a world that was originally chaos, and one of many gods (Ibid, 201). Furthermore, Joseph Smith himself taught that this “God himself was once as we are now, and is an exalted man…” (TPJS 345, cited in P+M, 202). There are many difficulties with this Mormon concept of God. Perhaps most crucial is the inclusion of contingency in the concept of God. If God is contingent, then it does indeed beg the question “Who Made God?” Consider this against classical theism, which holds that God exists necessarily. Classical theists can respond to this question by simply saying, “No one made God, because God, as necessarily existent, never came into being.” Yet Mormons who hold God is contingent must answer this question. That’s not the only difficulty with God as contingent either, for holding that God is contingent removes several of the reasons to believe that such a deity exists. Consider one of the classical arguments for the existence of God: that contingent things have all come into being, so there must be something which has always existed in order to terminate the infinite regress. Of course, if this deity which terminates the regress is, itself, contingent, then one must continue the regress to the next step. Thus, this Mormon concept of God provides no grounding for the universe itself. Further, this Mormon concept of deity has no way to ground objective morals. While Mormons tend to hold that God is all good/omnibenevolent, they have no way to ground this goodness in God Himself. Rather, because God is contingent, there must exist some measure by which God is judged, and so one is left with all the difficulties of grounding morality without God. If, instead, morality is still to be based upon God, then it could only really be some form of extreme occamism/voluntarism–whereby things are moral just because God says so. The difficulties with such a view are extreme. Of course, once more classical theism can explicate objective morality by grounding them in the nature of God. Because God is necessarily the greatest possible being, God is necessarily the source of all goodness, and therefore the grounds of morality are found in God. Finally, there is the question of the problem of evil. Classical theism has a number of answers to this problem, but none of them are effective upon a monarchotheistic view of God. First, because there can be no grounding for objective morality on Mormonism, there remains the difficulty of explaining how actions could truly be evil to begin with (Parrish and Mosser, 215, see similar difficulties with naturalism here). Second, because evil is part of the universe and God himself is part of the eternal universe, evil can be seen as a natural part of the order of the cosmos (ibid, 215). Third, and most poignantly, because God is contingent and part of the universe, it seems that there is great difficulty with the notion that God would one day overcome evil. Because evil is part of the universe, and has therefore existed eternally rather than as a corruption of the goodness of nature, it seems that there is no way to finally overcome evil. Thus, the problem of evil is exacerbated exponentially on Mormonism (ibid, 216). So, to sum up, monarchotheism appears to be one plausible interpretation of the Mormon concept of God. This concept is expounded by Joseph Smith in his Teachings and is also found in various theological works of Mormons (cf. McMurrin, Theological Foundations; Ostler, “Mormon Concept of God”; Paulsen, “Comparative Coherency”–these are noted in P+M, 457). However, this concept has been shown to be riddled with difficulties. It cannot explain many of the central features of our world, such as the existence of objective morality. Furthermore, it undermines reasons to believe in the existence of a God. Finally, this Mormon concept of God fails to even explain the existence of the universe itself. Thus, it seems to me this concept of deity is incoherence. So much for Monarchotheism. But what about other Mormon concepts of God? There is one other concept which is attested in Brigham Young’s writings along with other Mormon writers. This view can fairly be referred to as polytheism. Once more we find that the eternal existence of the universe is central to this view of Mormonism. Matter is eternal. God the Father organized the universe, but at least some laws of nature are outside of god’s control (see the discussion in Francis Beckwith and Stephen Parrish, See the Gods Fall, 99ff, cited fully below). Furthermore, the notion that there are innumerable contingent “primal intelligences” is central to this Mormon concept of god (P+M, 201; Beckwith and Parrish, 101). That there is more than one god is attested in the Pearl of Great Price, particularly Abraham 4-5. This Mormon concept has the gods positioned to move “primal intelligences along the path to godhood” (Beckwith and Parrish, 114). 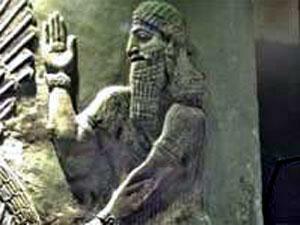 Among these gods are other gods which were once humans, including God the Father. Brigham Young wrote, “our Father in Heaven was begotten on a previous heavenly world by His Father, and again, He was begotten by a still more ancient Father, and so on…” (Brigham Young, The Seer, 132, quoted in Beckwith and Parrish, 106). The logic of the Mormon polytheistic concept of God entails that there is an infinite number of gods. To see this, it must be noted that each god him/herself was helped on the path to godhood by another god. There is, therefore, an infinite regress of gods, each aided on his/her path to godhood by a previous god. There is no termination in this series. Now because this entails an actually infinite collection of gods, the Mormon polytheistic concept of deity must deal with all the paradoxes which come with actually existing infinities (for some problems with the actual infinite search “infinite” and check out the problems Craig points out in his Q+A’s section). Now, polytheistic Mormonism would also seem to have to deal with all the difficulties of Monarchotheism, for this concept also carries with it the contingency of deity and eternity of the world. Finally, it seems polytheistic Mormonism has a difficulty at its heart–namely the infinite regress of deity. While on Monarchotheism, the infinite regress was merely hinted at (and still extremely problematic), polytheistic Mormonism has infinite regress at its heart and soul. Each god relies upon a former god, which itself relies upon a former god, forever. Certainly, this is an incoherence at the core of this concept of deity, for it provides no explanation for the existence of the gods, nor does it explain the existence of the universe. Polytheistic Mormonism, it seems, fares even worse than its Monarchotheistic counterpart. It is worth noting that those who wish to adhere to a strict “Standard Works only” approach to Mormonism may object to the critiques I’ve given above. The reason being that in the Standard Works, it seems like a view much closer to classical theism is expounded. For example, God is referred to as “Lord God Omnipotent” (Mosiah 3:5 [and “Lord Omnipotent” in 3:17-18]; Mosiah 5:2). Further, God’s infinite goodness and mercy are affirmed (Mosiah 28:4, Moroni 8:3, 2 Nephi 1:10). It is indeed the case that were one to only operate from this explication, one might come to believe in a God very similar to classical theism. There are three responses I would offer: first, I’d be very happy to welcome any others who do affirm mere classical theism. In that case, I’d like to discuss the finer points of differences between Christianity and Mormonism. However, I think it is the case that many who object by showing a Standard Works reading of Mormonism do not themselves hold to a “Standard Works only” belief. Any who holds that, for example, humans can be exalted to godhood must accept the implication that God the Father would therefore be contingent, and would then most likely fall into one of the categories listed above. Second, I already noted how in Abraham 4 and 5 it seems quite apparent there are many “Gods” (any who disagree, feel free to simply read the Pearl of Great Price, Abraham 4… literally any verse between 5-31; it explicitly states “the ‘Gods'”). Because classical theism holds that there is only one who can occupy the title “God,” this places even the Standard Works alone reading outside the realm of orthodoxy regarding classical theism. Finally, I’ve already quoted Brigham Young and Joseph Smith in other writings outside the “Standard Works” both affirming that God the Father is an exalted man and that God the Father was preceded by another Father. If Mormonism is to be conceived in a form akin to classical theism, Mormons must reject these writings, and with it discredit their prophets. Central to the Mormon faith is God, just as God is central to any theistic religion. Yet, as has been seen, two of the major explications of the Mormon concept of deity fall victim to insurmountable philosophical problems. The third, closer to classical theism, must contend with the fact that other Mormon writings (and indeed, even the Pearl of Great Price) are contrary to their position. The fact that Momonism’s concept of God is incoherent strikes a major blow to the truth claims of the Mormon faith. Without coherence in that which is central to the religion: God, the entire theological system falls apart. The Book of Mormon: Introduction and Importance– This post is pretty self descriptive. Genetic Evidence and the Book of Mormon: Did any Native Americans come from the Middle East?– Argues that the Native Americans are not Middle Eastern in ancestry. Because the Book of Mormon claims they are, the Book of Mormon is false. Stephen Parrish with Carl Mosser, “A Tale of Two Theisms” in The New Mormon Challenge: Responding to the Latest Defenses of a Fast-Growing Movement ed. Beckwith et. al, 193-218 (Grand Rapids, MI: Zondervan, 2002). Francis Beckwith and Stephen Parrish, See the Gods Fall: Four Rivals to Christianity (Joplin, MO: College Press, 1997). Genetic Evidence and the Book of Mormon: Did any Native Americans come from the Middle East? The Book of Mormon’s veracity hinges on the claim that the lost tribes of Israel came to America, settled there, and wrote their history on gold plates which Joseph Smith later translated. Such claims at the time of Joseph Smith seemed irrefutable; they simply couldn’t conceive of technology which could test these propositions. Today, however, such technology is available. Unfortunately for Joseph Smith and the Mormon Church, the evidence runs contrary to what the Book of Mormon claims. [t]he record [in the Book of Mormon] gives an account of two great civilizations. One came from Jerusalem in 600 B.C., and afterward separated into two nations, known as the Nephites and the Lamanites. The other came much earlier when the Lord confounded the tongues at the Tower of Babel. 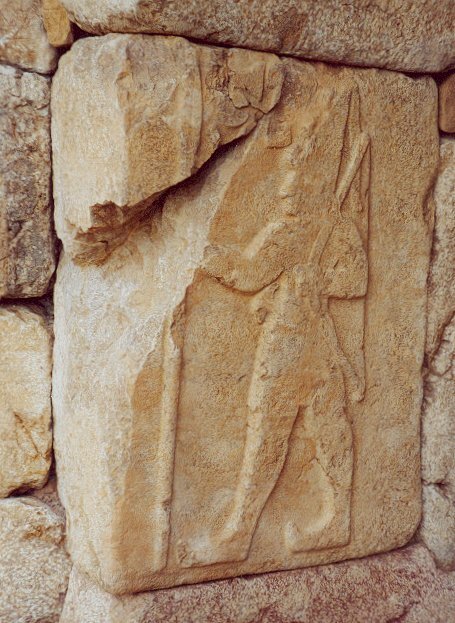 This group is known as the Jaredites. After thousands of years, all were destroyed except the Lamanites, and they are among the ancestors of the American Indians. These claims can now be analyzed utilizing DNA evidence. Contrary to the claims of the Book of Mormon, this evidence has shown that there are four major genetic lineages for the peoples of the Americas which are of Eastern Asiatic origin, along with a fifth that is possibly Caucasian. In order to support the claim that Israelites came to America, the DNA evidence would have to reflect their Israeli genetic lineage, which “resemble[s that] of Europeans.” The only European genetic heritage in America, however, came with Columbus and the European settlers who followed him. Furthermore, Mormons frequently assert that it was the Mayans and Olmecs who parallel the civilizations of Nephi and the Jaredites. This evidence simply doesn’t match the genetic history, which demonstrates that traces of European (and therefore possibly Israelite) origins have been found in the North American peoples and not with the Mesoamerican Olmecs and Mayans—as would be necessary to support this Mormon theory. The assertion that Native Americans descended from the lost tribes of Israel is groundless. 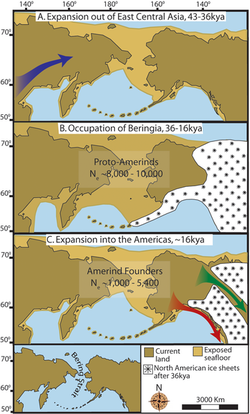 The Smithsonian Institute wrote that “The physical type of the Native Americans is basically Mongoloid, being most closely related to that of the peoples of eastern, central and northeastern Asia.” This evidence leads Simon Southerton to conclude that “The ancestors of Native Americans were Asians who unknowingly became the first Americans as they walked across Beringia over 14,000 years ago… Regardless of coincidental cultural, linguistic, or morphological parallels with the Old World, the peoples of the Pacific Rim who met Columbus and Cook were not Israelites.” Native Americans descend from Asia, not Israel. Therefore, the Book of Mormon is strongly undercut by prevailing scientific evidence and genetic data. Mormonism’s response to this DNA evidence has been threefold. The Mormon apologist counters by arguing that Christianity is undercut by scientific evidence, that science can’t disprove the Book of Mormon anyway, or that the conclusions drawn from the DNA evidence are stronger than such studies warrant. There is little need to argue against the first rebuttal, as it amounts to little more than a tu quoque. It serves only to try to push the burden of proof off the Mormon apologist. Furthermore, it seems very strange, considering the lengths to which many have gone to argue that Mormons are Christians. The second response also has little to recommend it. In an article curiously titled “BYU professor refutes Book of Mormon DNA Claims,” Mark Nolte writes “[Michael] Whiting [a BYU scientist] said the Book of Mormon was not written as a scientific book, and therefore cannot be wholly proved or disproved using scientific methods… it is no surprise that DNA analysis could not find a genetic marker that links American Indians to a Middle-Eastern population. [Whiting said,]‘I would be skeptical of someone standing up and saying, ‘I have DNA evidence that the Book of Mormon is true.’” The assertion seems to be that the Book of Mormon is theology, not science, and therefore cannot be evaluated scientifically. Examining such claims fully is beyond the scope of this work, but it seems like this whole response is glaringly dismissive. The Book of Mormon does claim that the Native Americans are descendants of the Israelites, as Whiting acknowledges, so evidence which demonstrates they are not disconfirms the Book of Mormon. The third claim warrants further examination. Essentially, Mormon apologists argue that we simply can’t know enough to determine whether or not Israelite DNA is present in Native Americans. The problem with this claim is that the evidence is not at all inconclusive. In fact, the evidence demonstrates that 99.6% of Native Americans are of Asian descent. The .4% of non-Asian Native American lineage is found in those genetic pools which interacted with the early colonizers. Not only that, but even if the .4% of non-Asian genetic lineage could be Israelite (which it is not), the Book of Mormon claims that the Israelites in America were huge civilizations. Why, then, would their genetic footprint be so small? Furthermore, the claims that such methodology is problematic or that we have limited data is also demonstrably false. The genetic data is conclusive, and studies which utilize other methods for determining heritage (such as dental, osteological [study of bones], and molecular studies) confirm that the descent of the Native American is Asian, not Israelite. According to Stephen Whittington, “Archaeologists and physical anthropologists have not found any evidence of Hebrew origins for the people of North, South and Central America.” Genetic evidence therefore provides a strong defeater for the veracity of the Book of Mormon. We have seen that the Book of Mormon is integral to the faith of Mormonism. If this book is factually incorrect, then there is no reason to suppose its theological message is true. Joseph Smith once said, “One of the grand fundamental principles of ‘Mormonism’ is to receive truth, let it come from whence it may.” I hope that Mormons will indeed receive the truths found in genetic and archaeological evidence. Simon Southerton, Losing a Lost Tribe: Native Americans, DNA, and the Mormon Church, (Salt Lake City, UT: Signature, 2004), 73. Southerton, Losing a Lost Tribe, 117-118. The Mormon Church, “Introduction to the Book of Mormon”, The Church of Jesus Christ of Latter Day Saints. http://lds.org/scriptures/bofm/introduction?lang=eng (accessed February 1, 2011). Southerton, Losing a Lost Tribe, 89-90. Quoted in Martin, Kingdom of the Cults, 215 and Jerald and Sandra Tanner, Mormonism: Shadow or Reality? 97. Southerton, Losing a Lost Tribe, 130. David Stewart, “DNA and the Book of Mormon.” The Latter-Day Saints Foundation for Apologetics Information and Research. http://www.fairlds.org/Book_of_Mormon/DNA_and_the_Book_of_Mormon_2.html (accessed October 29, 2010. Mark Nolte, “BYU Professor refutes Book of Mormon DNA claims.” Brigham Young University. http://newsnet.byu.edu/story.cfm/41852/ (accessed October 29, 2010). Stewart, “DNA and the Book of Mormon”; see also, Southerton, Losing a Lost Tribe, 184f. A simple search on google for “Are Mormons Christians” turns up 610,000 results (at the time of this writing), many of which argue the affirmative, from a Mormon perspective. Stewart, “DNA and the Book of Mormon”; see also Southerton, Losing a Lost Tribe, 188. 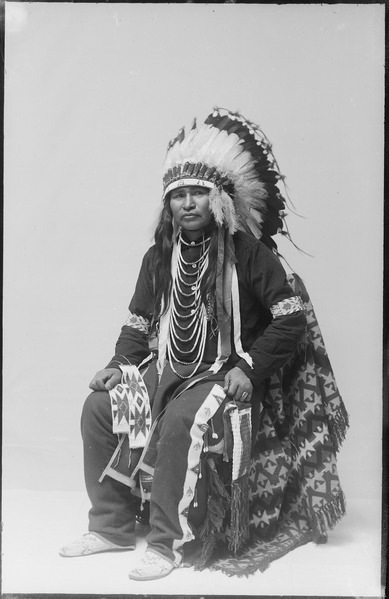 Southerton, Losing a Lost Tribe, 187, 192. Ibid, 117-118. For just one example within the Book of Mormon itself, see the Book of Alma [one of the books in the Book of Mormon] 51:27, which states “And thus had the Lamanites obtained, by the cunning of Amalickiah, so many cities, by their numberless hosts, all of which were strongly fortified after the manner of the fortifications of Moroni; all of which afforded strongholds for the Lamanites.” The language suggests huge civilizations: “many cities”; “numberless hosts”. Southerton, Losing a Lost Tribe, 191. This post was derived from an essay I wrote for my graduate studies at Biola University. Mormonism is growing with great speed. There are few, however, who understand the limits of Mormonism’s truth claims. Mormon apologists have frequently made assertions which are either false or ungrounded. I have therefore decided to write a series of posts on the Book of Mormon, followed by a critique of Mormonism’s philosophical stances. This post will introduce the book of Mormon. A man was born on December 23, 1805 in Vermont. He was known for digging for imagined buried treasure with his father and others. He was also known for being a mystic, for his conviction for disorderly conduct in a scam in which he tried to convince locals he had found treasure underground, and for being the translator of golden plates: The Book of Mormon. The man was Joseph Smith, Jr., the founder of the Mormon faith, “The Prophet.” The Book of Mormon, according to the Church of Jesus Christ of Latter Day Saints (the official name of the Mormon Church), is “another witness that Jesus Christ… was and is God’s Son… It supports and verifies the Bible.” If this is true, then the Book of Mormon is as much the Word of God as the Bible. However, the Book of Mormon’s validity as the Word of God is strongly undercut by scientific and historical evidence which contradicts its claims. The Book of Mormon is a divinely inspired record, made by the prophets of the ancient peoples who inhabited the American continent for centuries before and after the time of Christ, which record has been translated in the present generation through the gift of God and by His special appointment. The authorized and inspired translator of these sacred scriptures… is Joseph Smith. Furthermore, the arguments for the authenticity of the Book of Mormon often parallel those arguments used to justify the Bible: it is said to be “internally consistent,” prophetically fulfilled, and supported by archaeology. Yet there are also arguments unique to the Book: it was certified as genuine by three men who signed a statement confirming they witnessed the translation of the Book, eight other witnesses claimed to have seen the gold plates from which the Book was purportedly translated, and the ethnic background of Native Americans is said to be Israelite, which would demonstrate the Book’s truth. It is clear that the Book of Mormon is the absolute bedrock of Mormon faith. If the evidences for the Book do not hold the evidential weight required to confirm its truth, then Mormon faith is undone. The Book of Mormon’s veracity hinges on the claim that the lost tribes of Israel came to America, settled there, and wrote their history on gold plates which Joseph Smith later translated. Such claims at the time of Joseph Smith seemed irrefutable; they simply couldn’t conceive of technology which could test such ideas. Today, however, such technology is available. Unfortunately for Joseph Smith and the Mormon Church, the evidence runs contrary to what the Book of Mormon claims. Over the coming weeks, I’ll investigate each of these claims in turn, while finding them wanting. The next post will demonstrate that the Book of Mormon cannot be true based upon a genetic analysis of Native Americans. Future posts will argue that the Book of Mormon does not reflect ancient near eastern writing and that the Mormon concept of God is philosophically untenable. Walter Martin. The Kingdom of the Cults (Bloomington, MN: Bethany, 2003), 197; Jerald and Sandra Tanner, Mormonism: Shadow or Reality? (Salt Lake City, UT: Modern Microfilm Company, 1972), 32. Wayne L. Cowdrey, Howard A. Davis, and Arthur Vanick, Who Really Wrote the Book of Mormon: The Spalding Enigma (St. Louis: Concordia, 2005), 395f. The Mormon Church, “Frequently Asked Questions,” The Church of Jesus Christ of Latter Day Saints, http://www.mormon.org/faq/#Book+of+Mormon|question=/faq/what-is-book-of-mormon/ (accessed October 14, 2010). James Talmage. A Study of the Articles of Faith (Salt Lake City, UT: The Church of Jesus Christ of Latter-day Saints, 1976), 251. Talmage, Articles of Faith, 252. Talmage, Articles of Faith, 255.